The violin immediately plunges into the first theme of Schubert’s String Trio in B-flat major, D. 471 with a lighthearted melody reminiscent of Mozart. This single-movement piece embraces the spirit of true classicism throughout before sweeping to a gentle close. Bruckner’s symphonic leanings burst out of the chamber music canvas in his String Quintet in F major. This thematically and harmonic complex work—which won Bruckner a diamond pin from the quintet’s dedicatee, Duke Max Emanuel of Bavaria—provides a rare opportunity to hear the composer in an intimate setting. Disregarding the Viennese musical conventions of his time, Mozart brought forth the piano as an equal partner to the strings in his Piano Quartet No. 1 in G minor. This innovation amplified the piece’s thematic possibilities, making the quartet an especially delightful demonstration of Mozartian brilliance. Written at the onset of the Great War, Ravel’s Piano Trio in A minor was written directly before the composer attempted—unsuccessfully—to enlist, and as such straddles the patriotic Frenchman’s pre and post-war output. A phantasy is a short piece of music that is written in the spirit of spontaneity and freedom, two qualities which are evident in Britten’s Phantasy Quartet for oboe and string trio. Simultaneously, the nineteen year-old Britten achieves an impressive matureness of expression in this twelve-minute jaunt around the composer’s imagination. 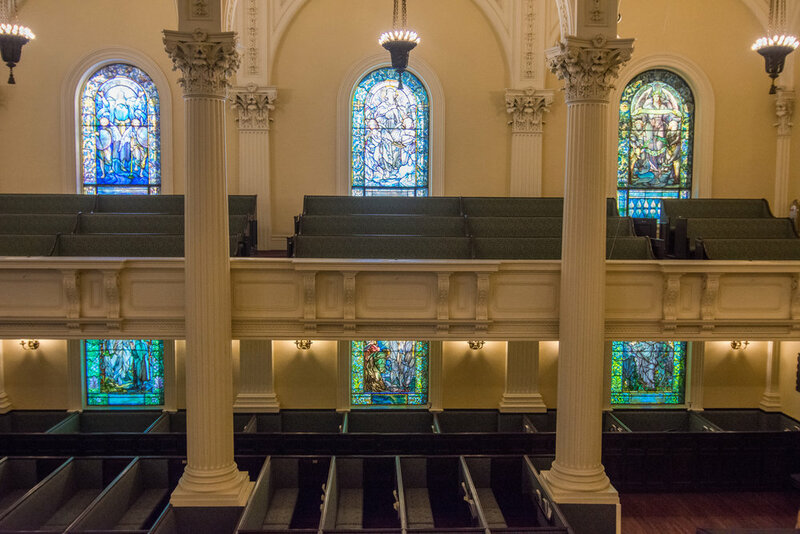 Indulge in an afternoon of art, architecture, and ambiance at Arlington Street Church. Located across from the Public Garden, this hidden gem houses sixteen awe-inspiring Tiffany stained glass windows. 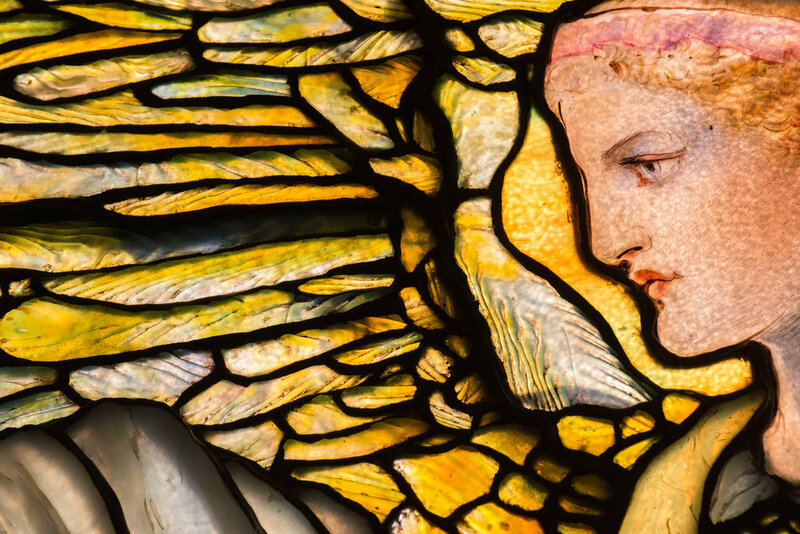 Delight your senses by learning about the church’s cultural legacy and its world-famous collection of Tiffany windows while experiencing live demonstrations of art and music. Enjoy the volcanic stylings of virtuoso Rodger Clinton Vine on the Aeolian-Skinner Organ and interact with local artists as they paint modern-day interpretations of the turn-of-century windows. Afterwards, visit the pop-up gallery/store. Tickets are $7 each and can be purchased online or at the door. Visiting Back Bay for the Boston Marathon? Take a break from the crowds and come to Arlington Street Church to bask in the blissful beauty of Tiffany stained glass. Admission is a suggested donation of $5 per person. Cash and card accepted at the door.